When my daughter was born early I worried about everything and anything she came in contact with. Her skin was very sensitive. Who wants to make their baby sick? 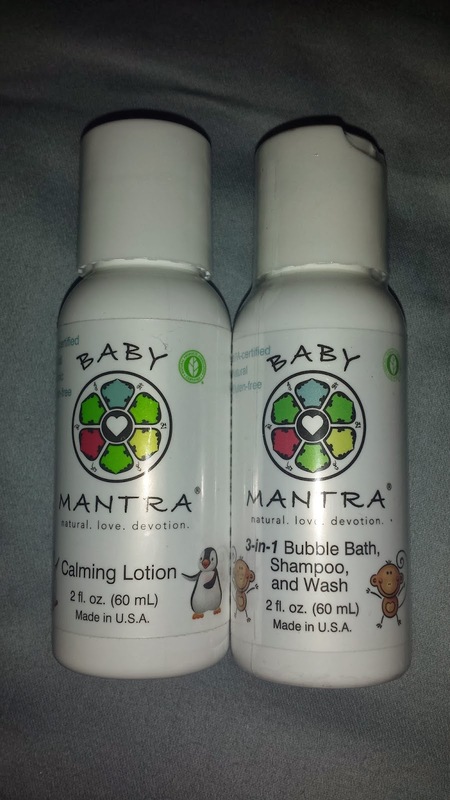 My daughter received samples of Baby Mantra 3-in-1 Baby Bubble Bath, Shampoo, & Body Wash and Calming Lotion to review. She loves to take bubble baths. The 3-in-1 is multi-purpose and saves me time and space. Who needs 3 different bottles with a toddler and a bath. It is a lavender scent. It makes a lot of bubbles which she loves. It did not irritate her eyes when washing her hair. After the bath was done, we used the lotion. It is non-greasy. It is also lavender. I like that Baby Mantra is all-natural, NPA certified, gluten-free, chemical-free, and toxic-free. Baby Mantra also carries shampoo & body wash combo and calming massage oil all for under $16.